Dr Steve Furness B.Sc. (Hons. ), Ph.D.
Passionately interested in flowers from childhood, Dr Furness has spent all his adult life growing plants and teaching people about them. Educated at Sheffield University, he studied botany for his degree and botanical ecology for MSc and PhD. Subsequently he worked for the University and the Unit of Comparative Plant Ecology (NERC) in various roles including demonstrator, tutor, post-doctoral research assistant and lecturer. 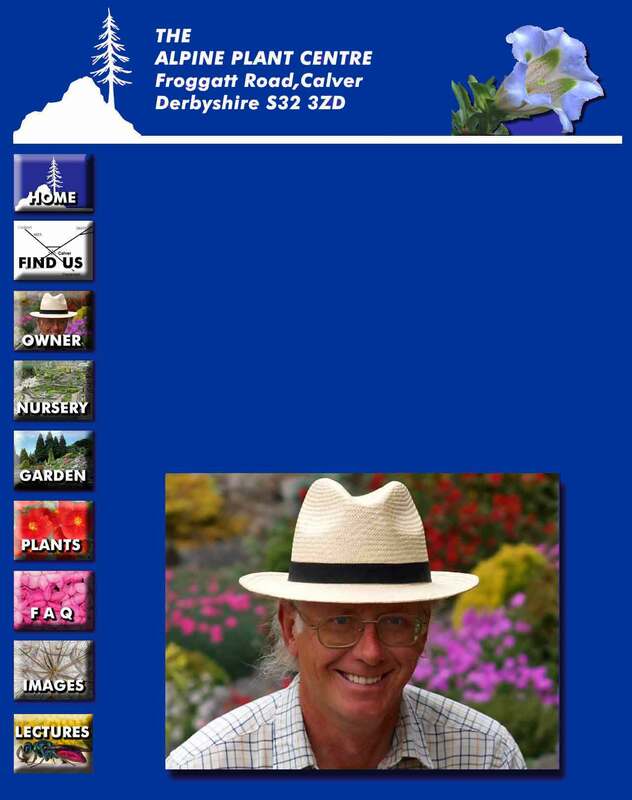 Living in the midst of the Peak District, he also runs a specialist nursery growing one of the largest selections of alpine plants in Europe. His self built garden is one of the few in the National Park in the Good Gardens Guide and attracts visitors from all over the world. He is author of many articles and papers on botanical science, natural history, gardening and photography. He lectures widely and has appeared on TV in Britain and USA. He has taught for Sheffield University and the Peak District National Park Authority and also runs professional training courses and specialist holidays for a wide variety of groups including specialist magazines, local authorities, tourists and foreign university groups.